The guys at Old World Industries (owners of PEAK products) are thrilled to have partnered up with iRacing.com. For them, it’s a great non-traditional way to reach out to a new group of potential customers. 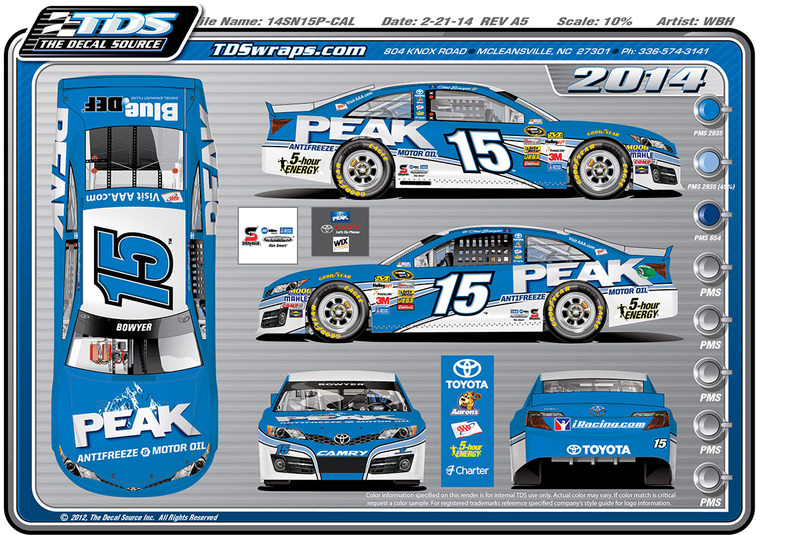 As many of you may know, PEAK works closely with Danica and Michael Waltrip Racing (MWR). You might have already noticed PEAK on the lower rear quarter of Clint Bowyer’s #15 5 Hour Energy Toyota Camry if you follow the series. Long story short: PEAK also had the space between the rear taillights on the back deck of Clint’s car for this weekends California NASCAR Sprint Cup Race. To celebrate the partnership between iRacing and PEAK, they have graciously offered to place the iRacing logo on that TV Panel. It’s great to have sponsors and partners that care enough to help promote each others products. Expect to see more cool things from PEAK in the near future.